A warm October has left UK fashion retailers feeling under the weather after non-food sales fell to the lowest level for five years, according to BRC-KPMG sales monitor. Shops suffered a 2.2pc slip in non-food sales and a 2.9pc slide on a like-for-like basis. Over the last year, total non-food sales recorded a 2.1pc decline, the deepest drop since BRC-KPMG’s records began in 2012. The downbeat results follows warnings from high street bellwether Next last week that recent trading had been “extremely volatile”. The bearish tone spooked the market as it was in sharp contrast to September, when cooler temperatures shifted winter clothes and the yearly back-to-school demand for uniforms drove a surge in sales. However, figures show that the sales momentum did not last in October as warmer weather dented shoppers’ enthusiasm for buying coats, boots and scarves. According to the Met Office, last month was the joint eighth warmest October on record - equal with 2011. The Met's data goes back to 1910. Mean temperatures across the UK last month averaged at 11.3 degrees centigrade, compared to a chillier 9.8 degrees in 2016. 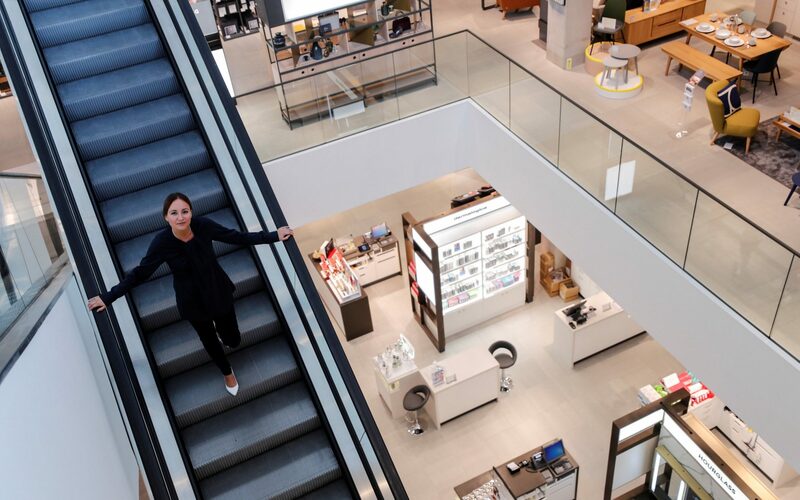 Earlier this month, Paula Nickolds, managing director of John Lewis, said that “October is going to look pretty grim for the market” largely because of the weather. John Lewis recently reported a 4.8pc slump in sales in the week to October 21, with fashion sales down by 6.9pc. “It is not a contraction of the market, it is more about the vagaries of the weather,” Nickolds said. However, the slowdown in sales will fan fears that consumers are already reining in spending as inflation creeps back in to the market. Overall UK retail sales fell by 1pc on a like-for-like basis, compared to a 1.7pc growth in October. Fresh figures from Barclaycard also shows that consumer spending growth slowed to 2.4pc year-on-year last month. A survey of 1,669 adults showed that over a quarter said the recent interest rate rise would put a dampener on Christmas spending plans.